Medication Consent Form – If your child needs to receive prescription medication while at school, if they have an EpiPen or inhaler, or if they will be receiving an over-the-counter medication for more than 10 days, your child’s physician will need to sign this form. If your child will receive over-the-counter medication for less than 10 days, you will need to complete this form. The Center will not take any medication into our possession and cannot administer medication without the proper form on file. After confirming placement of your child/children with the NLC Director, an online enrollment link will be sent to your email address. Once the online enrollment has been completed, an $80 registration fee will be collected during the next automated payment process (performed on the Friday of that week at the earliest). 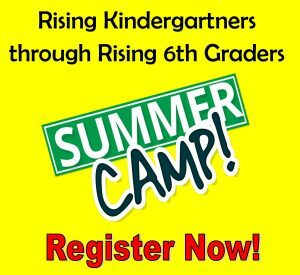 The payment of the registration fee will hold your child’s place in the Center. There is a $55 registration fee for each additional child registered within a family. The NLC uses an automated banking system for tuition and fees payment. You will provide your banking information during the online enrollment process. The tuition collection will not begin until your child’s first week of attendance at the NLC. The weekly payment process begins with an emailed invoice (usually received on Friday of the tuition week) followed by the payment collection early the following week. In addition to the online enrollment for your child/children, you will provide the completed forms (provided above) for each of your children on their first day of attendance. You may print these forms from this page or pick up a “New Student Packet” when you visit the NLC. NOTE: The Commonwealth of Virginia School Health Entrance Form is due within 30 days of your child’s first day at the NLC. Also required is an up-to-date immunization report for your child, obtainable from your pediatrician. This is required on or before your child’s first day at the NLC. We also ask that you read the Parent Handbook; hard copies are available at the front desk if you prefer. Finally, please bring a certified copy of your child’s birth certificate on your child’s first day at the NLC for review.